Haan, Germany, 19 January 2018. Resistant to high temperatures: With CENTALAN HT (High Temperature), CENTA presents its newly developed synthetic elastomer which eliminates the need to use expensive silicone elements in a wide range of applications. The novel material from the company’s own rubber production is designed to meet the dynamic characteristics of natural rubber mixtures. Applications subject to operation in critical high temperature can thus be operated at ease. In addition to its resistance to high ambient temperatures this new development ensures effective resistance to UV-light, ozone and oxygen as well as chemicals, steam and hot water. 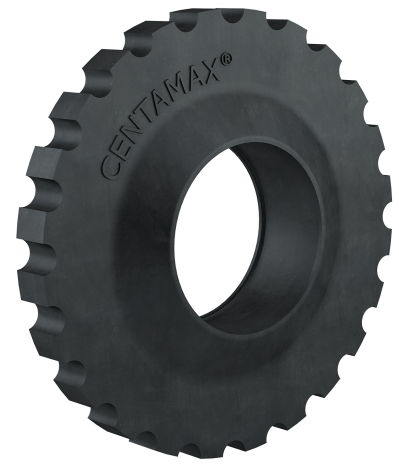 The mechanical properties of the CENTALAN HT elastomer are similar to natural rubber while outperforming the moderate strength of silicone rubber. Longer operation times and life cycles are possible due to the improved ageing resistance of the elastomer. The oil and fuel resistance of this new mixture is comparable to natural rubber. CENTALAN HT can be used for a temperature range between – 25 °C and + 100 °C (short-termed + 120 °C). Typical areas of applications are thermal power stations and encapsulated drives subject to high ambient temperatures. 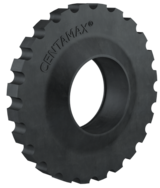 The CENTAMAX-S, -G and -HTC series are currently available with a CENTALAN HT elastomer. Additional series and components upon request. The shown images may be used for editorial purposes and in media coverage concerning CENTA in general. Other use is subject to permission by CENTA.